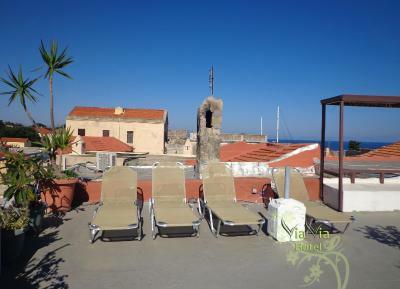 Lock in a great price for Via Via Hotel – rated 8.6 by recent guests! All was fine. Giorgio was available friendly for all our requests. Nice to have breakfast or aperitif on the terrace. Much appreciated the kettle with tea, nescafe and milk. George, the host, was very helpful and friendly. They also offered free tea and coffee which was really nice. The hotel is located in the Old City and within 15-20 minutes walk to the nice beach. 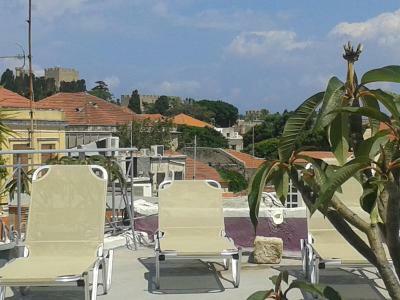 The hotel has a wonderful roof terrace with a great view. Good value for money. We like everything. 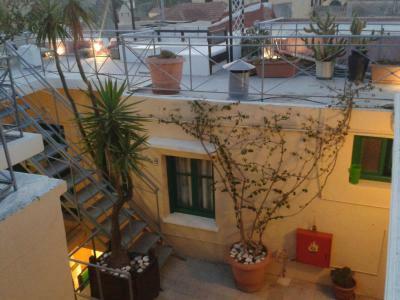 Hotel located in the heart of the old city. Very polite and friendly owner. We recommend to stay in this place. The location is excellent if you want to be in old town and that is the best place to stay if you dont want to be on the beach. 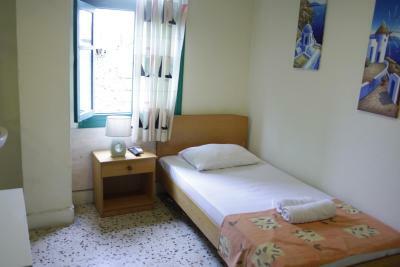 The manager is very personable and will go out of his way to make sure that you get the most out of your stay in Rhodes. He has great recommendations. Follow them for a better adventure. Nicholas helped us to have a better vacation than we had planned (excluding the room). 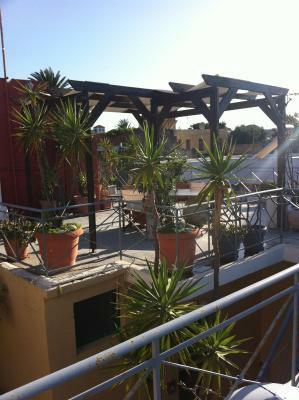 Best location in the old town, close to the port, amazing roof terrace and very kind staff! The Via Via stay was quite nice & George was very helpful. The hotel is within the old city walls, and therefore is old. The view from the roof is very nice. 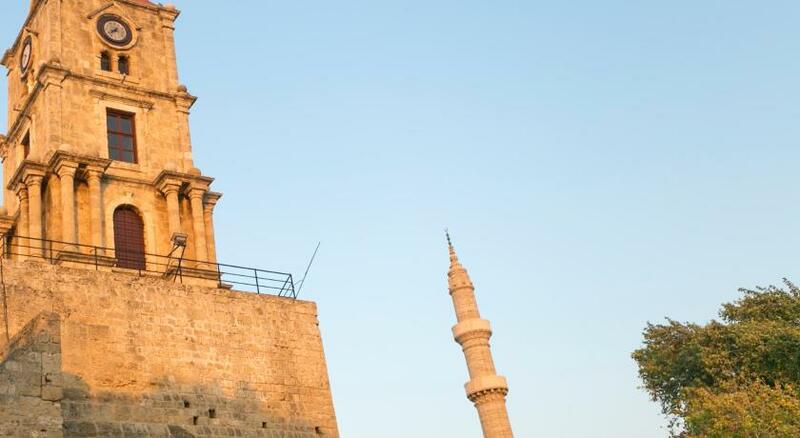 Suggestion if visiting the old city is your plan, & do not plan to adventure outside the old city. 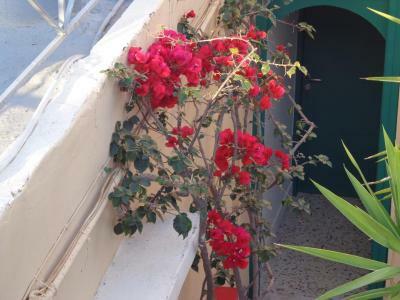 The gates to the old city are as close as the rental agencies & you do not need a car. Cars are not allowed in the old city. 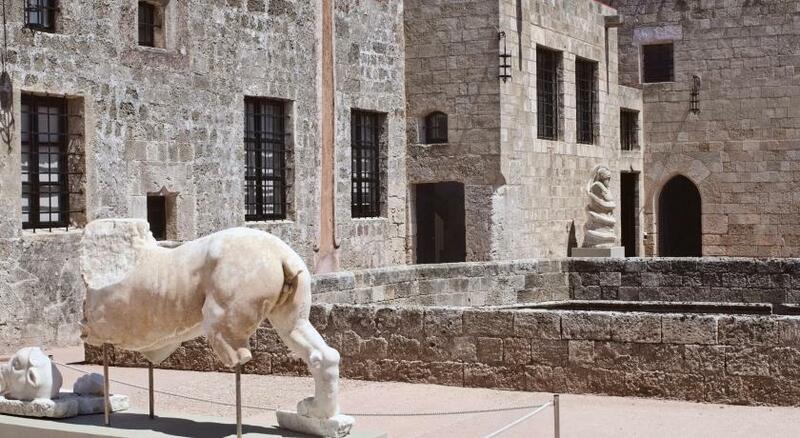 The location is convenient to be in the medieval city. The host is very friendly and relaxed, making the guests feel comfortable. And the price is good. 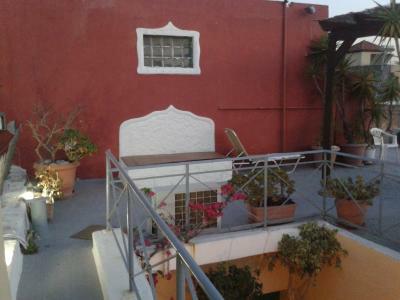 Perfect location in the old town center with a nice rooftop ! The owner is always ready to help for anything you need and also extremely funny ! 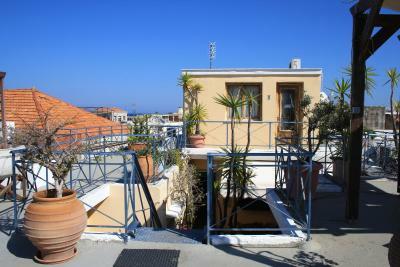 the Location was perfect to discover the old city and walking distance to the harbour . the staff was very kind and friendly. I felt at home. Via Via Hotel This rating is a reflection of how the property compares to the industry standard when it comes to price, facilities and services available. It's based on a self-evaluation by the property. Use this rating to help choose your stay! 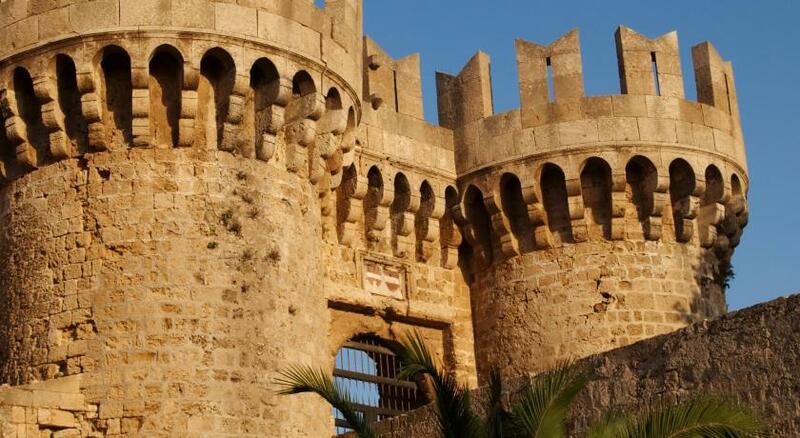 Centrally located in the Old Town of Rhodes, Via Via Hotel is just over a quarter mile from the port and Elli Beach. 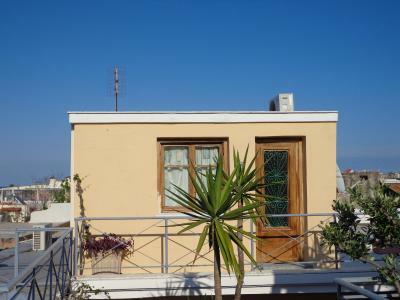 Guests have access to the rooftop terrace with views of the medieval town and the Aegean Sea. 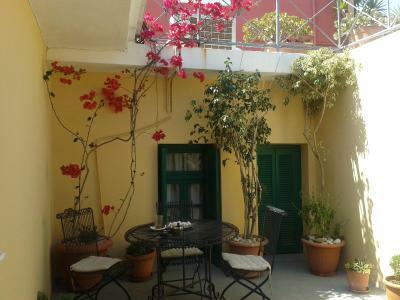 All air-conditioned rooms open out to a shared courtyard. Along with light wood furnishings, each includes a flat-screen TV, mini fridge and teakettle. The private bathroom features a bathtub or shower and hairdryer. 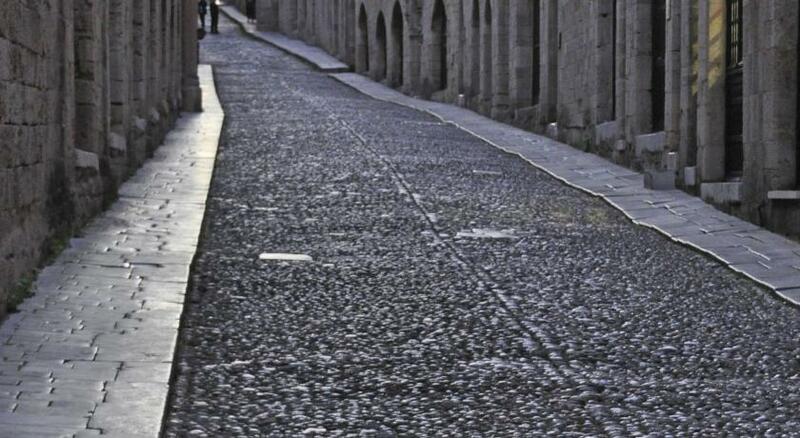 Guests can find bars and clubs within a 2 minute walk of Via Via. Rhodes International Airport is 9 miles away. Free parking is available nearby. 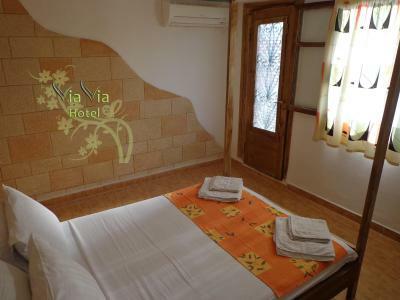 When would you like to stay at Via Via Hotel? 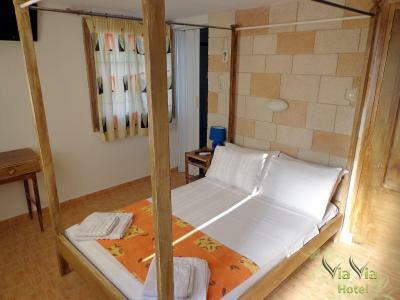 Air-conditioned room with light wood furnishings, mini fridge, electric kettle and hairdryer. A flat-screen TV is also available. 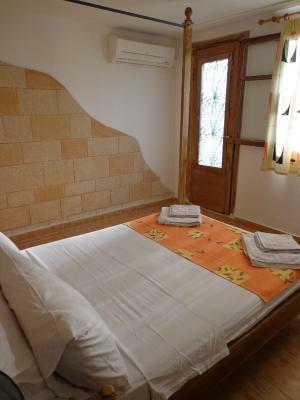 This air-conditioned room features a mini fridge, kettle, hairdryer and flat-screen TV. Please note that this room has an external bathroom in the hall which is used exclusively by the guests of this room. 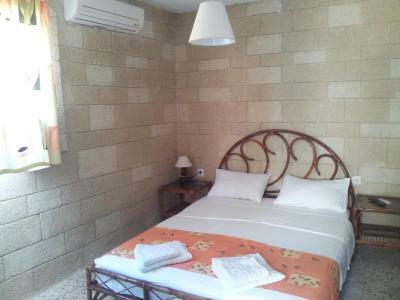 This air-conditioned room features a mini fridge, flat-screen TV, hairdryer and electric kettle. House Rules Via Via Hotel takes special requests – add in the next step! Via Via Hotel accepts these cards and reserves the right to temporarily hold an amount prior to arrival. Please inform Via Via Hotel of your expected arrival time in advance. You can use the Special Requests box when booking, or contact the property directly using the contact details in your confirmation. Nothing, I would have liked to stay longer. 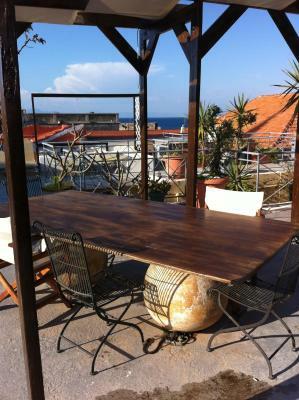 The position, the view from the rooftop terrasse, the fresh breeze coming from the sea in the morning. I got a free update to the rooftop room. Thanks! Thin walls, you can hear every little sound from the room next. 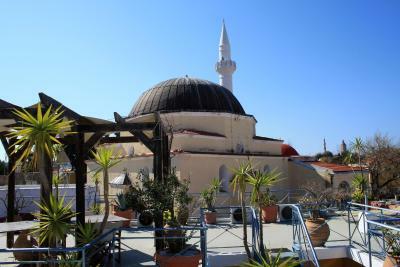 We really liked that the hotel is located in the old city of Rhodes. Everything is really close (port, main bus station to airport, new city of Rhodes). Many tavernas, pubs and cafes around. And of course the price!! Everything was very very nice! The host was very hospitable and greeted us with a shot of raki! He also upgraded us to a private bathroom and gave some great recommendations! Night time can be noisy with music playing locally, but the host offers earplugs to ensure a good night’s sleep. So no problem at all. 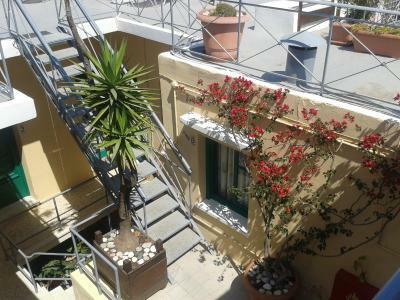 Via Via hotel is in the heart of the Old Town, within easy reach of the port, the bus station and all amenities. 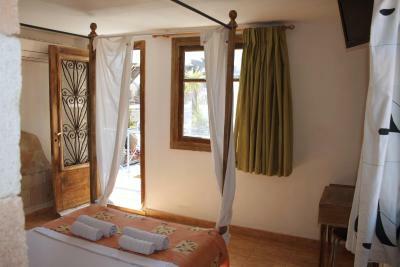 The bed is comfortable, the shower hot and powerful and the roof terrace perfect for relaxing after a day of sight seeing. The host is very kind and helpful, going out of his way to allow me to use the room beyond check out time. Fixtures and fittings could have been uodated/upgraded, but then, what can you expect for the price? George the owner was fantastic. Extremely accommodating! Hotel owner was really nice and helpful! they did take good care of us - they let us check in early and even found us a rental camera at the very last minute for the wedding ceremony we attended!! (it was such a miracle, as we've forgotten ours at home) our room was large and clean enough. the location of the hotel is great and the entrance is lovely. good value for money, highly recommended! Excellent location. 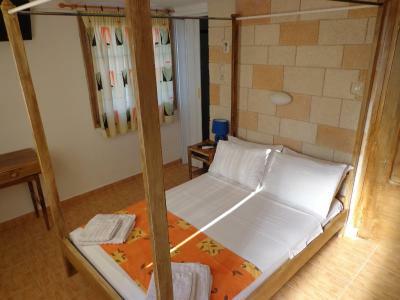 The rooms are basic but clean, great value for money. 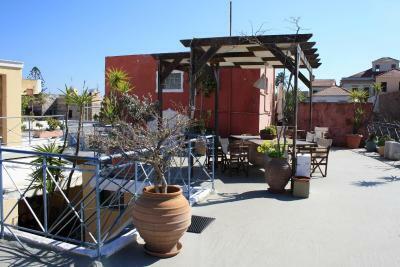 The roof top terrace is wonderful, you can see the sea from there. 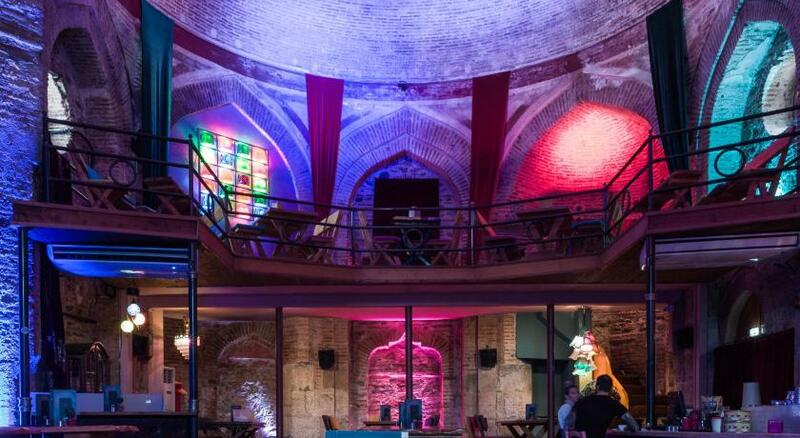 The nightclubs that started at midnight until 7am in the morning, great if you like nightclubbing but not great if you don't. Shame as we loved where we were staying, maybe it was only noisy because we were on the roof. The room on the roof was amazing, the views were great, we loved sitting up there in the evening with a glass of wine and if you were an earlybird the sunrise was amazing. Staff were most helpful and friendly too. We stayed in the room that has windows to the street, that's why it was very noisy. Lots of people in the Old Town use motorcycles which are very loud, plus there is a night club and bars not far from the hotel and there was music playing all the nigh every night we stayed there. The place for shower is very small. The bathroom could have been a bit more clean. The towels were smelly. But you can bring your own towels. 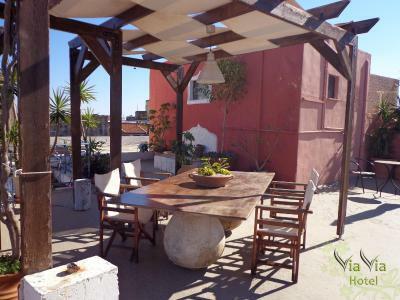 The location is great, in the city center. The guy at the reception, George is very helpful. When I had wound on my foot, he helped me with getting medicine and breakfast. 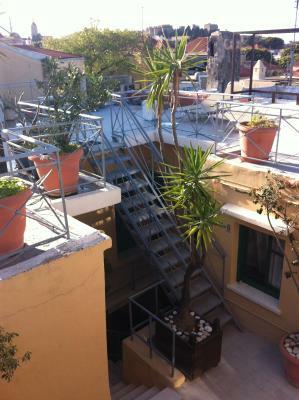 If I go to Rhodes again, I would definitely stay there! The hotel is very well located in the old town. The host was very welcoming and the room well furnished. 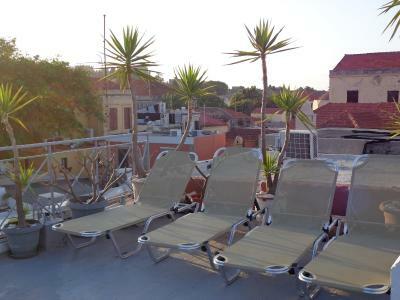 The rooftop is very nice with a beautiful view on the city and chairs to relax. Very good value for money.